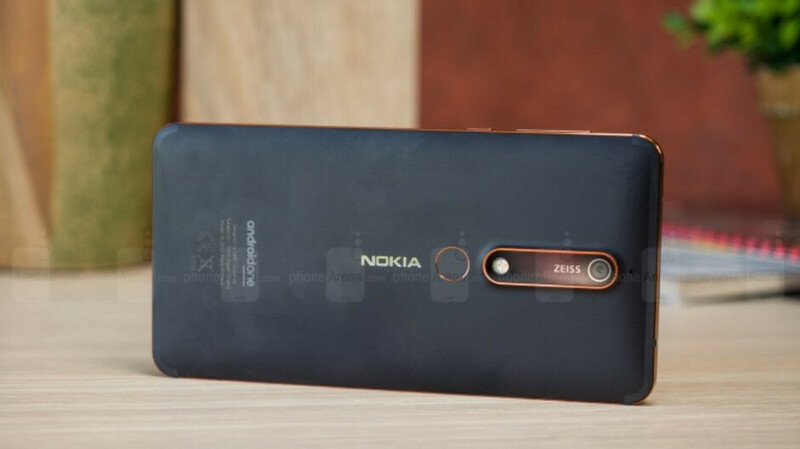 The Nokia 6.1 is definitely worth it if you're looking for a smartphone and are on a tight budget. It's a pretty capable smartphone for everyday needs. While I enjoyed the 6.1 with my brief time with it, the paltry storage and the 3GB of RAM made the phone a little choppy at times. Not too bad of a deal although in my neutral opinion, I think the G6 is better. The Nokia 6.1 performs admirably, not choppy, especially on Pie. This is something that is known to actual users. And given the spec by spec comparison, the 6.1 is the better than the G6, hardware and software wise. This is shown in the spec by spec comparison. The G6 has a 4GB model with 64GB of storage. The only thing the 6.1 has over the G6 is Android One, but of course as usual, you only seek to disagree with an actual user of the 6.1 just because it's me. And you aren't exactly an unbiased party either. The 6.1 also has better build quality and a faster and more powerful SoC. You’d actually know about SoC if you actually used one like you claim to have done. But as usual, you only seek to pretend that you own something for the sake of justifying your trolling of it. You’re also only attacking OEM’s like HMD because I favor them. And you’ve never been unbiased when it comes to what you troll. Let's be real, the SoC isn't THAT much better. The Moto G6 has 4 gigs of ram and 64GB of storage since HMD Nokia once again decided to skimp out on the US market. Everything that I've said is verifiable. You just don't want to admit that I'm right because A. You're biased and B. It's me that's saying it. Yeah, I know the 6.1 has great build quality, but it doesn't matter because it is limited by the 3 gigs of RAM. Let’s be real: It is, and you didn’t even know what SoC it used. That’s verifiable by your previous comment, which points to you never having used the Nokia 6.1, much less owning one. Don’t lie, don’t backtrack, don’t cover it up or dismiss it. You lie about what you say you own to justify your trolling of it. This is solid proof. You’re supposed to be a techie, or someone knowledgeable about these things, and you didn’t even know what SoC it used. You just proved that you’re a fake and a fraud, and it’s right here in digital ink for all to see. Every time you say you own something/have owned or used something that you incessantly troll, I’m gonna post this convo right here to prove you wrong. The SoC is that much better, but that’s nit the point. You didn’t know it had the better SoC to begin with. The Nokia 6.1 runs fine with the 3/32 storage options that it has. Whether HMD “skimps out on the U.S. market” or not should be of no concern to you since you don’t use or own any of their smartphones. You just proved that. Evertyhting I just said is verifiable. You don’t want to admit that I’m right because: A) You’re biased against HMD, and B) It’s me that’s saying it. Yeah, the 6.1 does have great (and better) build quality, and it does matter, and so does the fact that it’s running a newer OS, has better updates, and a better, more powerful SoC. Lol, when did I say and/or imply anything about the SoC? You're making s*** up again like you usually do. You don't want to admit that I'm right, but it's right there on Google for people to see. The US got the short end of the stick. The 3GB of memory and only 32gb of storage is what kills it but feel free to continue living that fantasy of yours making fun of me. Stop crying and just look on Google if you don't want to believe it. Lol you are so against what I say just because I said it. I never said anything about it not having good build quality. Heck that's why I bought it, but the fact that it has paltry memory and storage is what kills it. That is a proven fact. posted onyesterday, 11:57in response to #5 ReportReply 6. Venom (Posts: 1993; Member since: 14 Dec 2017) Let's be real, the SoC isn't THAT much better. You’re Venom, right? So what I just copied/pasted is from your comment mentioning the SoC. How are you denying something that’s right there in digital ink for everyone to see? What, you think you’re a Jedi performing some mind trick? LMAO! You’re not right about the SoC, and anyone that looks up the specs will see that. The Nokia 6.1 is also currently HMD’s highest selling smartphone, so what the U.S. got or didn’t get hasn’t hampered sales at all. It just kills you to know that HMD’s Nokia branded smartphones sell well WITHOUT much presence in the U.S. But feel free to continue living in your fantasy world of HMD not doing the right by focusing on markets where they are strongest while I gladly continue to make fun of you. Stop crying and complaining about a smartphone that we both you’ve never used or owned, and use any search engine and you’ll see that I’m correct, since you don’t want to believe me. I’m against the FALLACIES you say, and have ALWAYS provided proof to prove you wrong. You just don’t want to accept it because it’s me that’s saying it. You’ve never owned a 6.1, and that was proven when you didn’t even know about the SoC being much better. That’s a proven fact. I only said that the SoC wasn't that much better, but you said that I didn't know what it was, which is why I said what I said. Not my fault if you were full of **** as usual. You just don't want to admit that the 6.1 has lag which is easily verifiable. You think I'm trying to take shots at Nokia, but that is not the case here. I said that the phone is a good phone but hampered by 3 gigs of RAM and the paltry 32gb of storage. That is a fair thing to say, but you don't want to admit that because you get emotional over anything said about Nokia phones. Lol, now you’re backtracking. You didn’t know what SoC it used, and this is proof. As usual, you’re full of BS and got caught having no knowledge of a smartphone you claim to have owned. Only you’ve never owned it, you just say BS like that to justify your trolling. You just don’t want to admit that you’ve never used a Nokia 6.1 before, much less owned one, because then you’d be acknowledging that you’re a troll, and you get triggered over every HMD article that gets posted. You can’t make “fair” assessments about something that you’ve never even used or owned, and you not knowing what SoC it had is proof of this.